Every vacation should include at least one unique adventure. 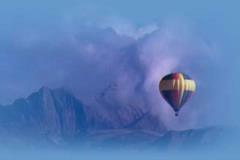 What better way to accomplish this than Hot Air Ballooning over the High Sierras. Spectacular beauty and panorama abound. This will be an experience you will never forget!